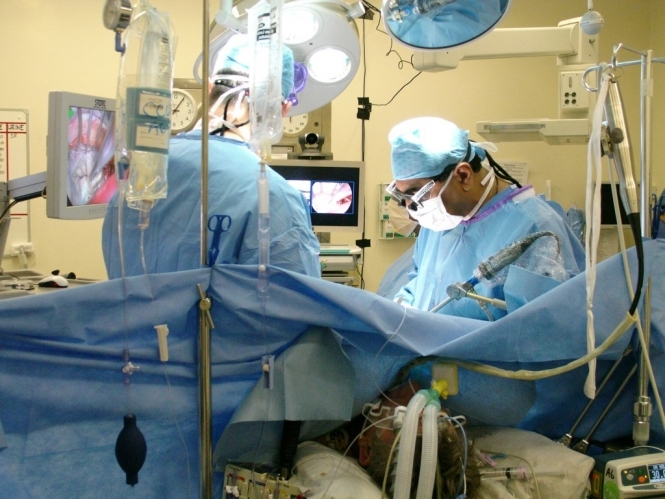 The risk of developing complications following heart surgery is halved if the operation takes place in the afternoon, according to a six-year study carried out in Lille. The research, published The Lancet, followed the post-surgery outcomes of 596 patients at the city's main hospital between January 2009 and December 2015, half of whom had surgery in the morning, and half in the afternoon. Professor David Montaigne, of the University of Lille and main author of the research said: "Cardiac surgery is safe with very little complication overall, but when we look in detail, it seems that surgery in the afternoon gives better protection to the heart." The study found that those who were operated on in the afternoon were half as likely to develop serious complications in the 500 days immediately after surgery. Professor Montaigne said that levels of a particular protein in patients' blood that is linked to heart tissue damage was noticeably lower among patients undergoing surgery in the afternoon than in those scheduled for morning operations. Co-author Professor Bart Staels, from the University and the Regional University Hospital Center (CHRU), Lille added that the time of day heart operations take place could influence patients' response to the trauma of surgery. The authors said that further testing is needed, while others also advocated caution over the results. Bryan Williams, chair of medicine at University College London, told The Guardian that it without exhaustive clinical trials, it was too soon to consider rescheduling heart surgeries to the afternoon as a matter of course. About 20,000 heart operations are performed in France every year.